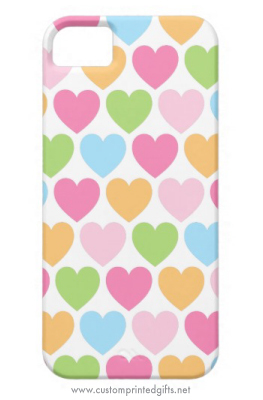 Cute and girly heart pattern iPhone 5 case featuring pink, green, blue and pale orange hearts on a white background. Fun design for girls and women. Also available in other colors.